1. I love the flower on the cover - it's soo pretty! 2. Sandmen! Seriously! Are you kidding me? That is so cool! 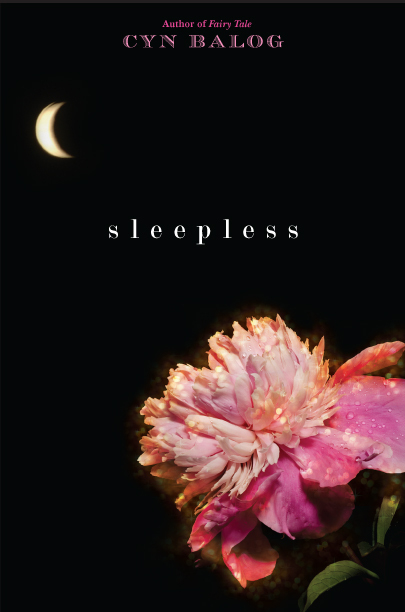 I loved the premise of Sleepless, how often do you come across a novel about Sandmen? A highly untapped market, Balog executed the concept well and finished with a novel that weaved the everyday into the supernatural. Cue The Chordettes. In my opinion, the plot was a bit predictable, but still enjoyable. It might just be me who's psychic, but I found that at sometimes, I let out a sigh of relief when the character did something that I wanted them to do already! I enjoyed Sleepless and if you're female, 13-16, looking for a good read that is peppy, will keep you interested and occasionally laughing, then Sleepless is your man. (So to speak).